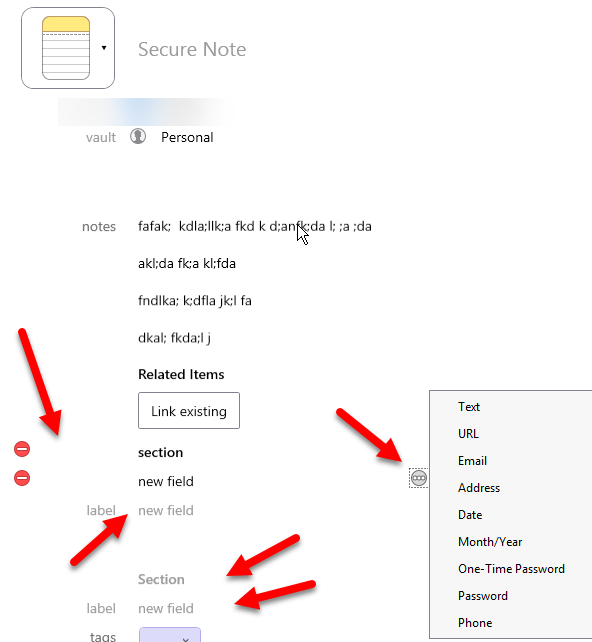 when i try to create a new section or field within 1P7's secure note, i cannot add a carriage return (new paragraph). multiple lines of text copied are truncated at the first line. but my original note i can have multiple paragraphs. But i'd like to have several sections of smaller notes vs 1 very long note. 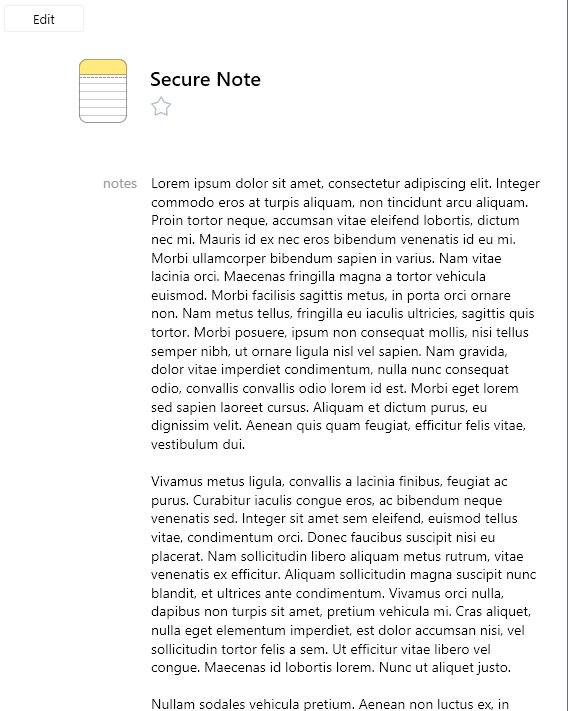 I consider this a bug to not have ability to have multiple text area field inside of a secure NOTE. Moreover, we have plans to improve the editor in 1Password 7 for Windows and bring Markdown support there. I don't have any timeframes right now, but please stay tuned for more news and updates. Let me know if there is anything else I can help you with. Thanks! @Greg, I think you misunderstood. In your screenshot, you have ONE text box (text area) where you can put notes with paragraphs. But I tried to create a new field below it and none of the available choices gives me the option to use multiple paragraphs (line breaks). Perhaps this newer screenshot will help elaborate where I am looking. This is odd behavior, especially considering that it is a secure notes........the option to have more than 1 "notes" field (text area) should be there. Is there something in particular motivating you to want these notes in separated text boxes, @4EverMaAT? Given the current absence of rich formatting on Windows, I definitely see a reason to use a separate section here – this would allow you to split your note into sections in a tidier manner than using unformatted headers in the main notes field, but once we do introduce markdown formatting, I'd be inclined to use headers within the main note rather than a brand new section and a new text box. At present, we don't have any plans to add a custom field type that would allow paragraphs, but that I'm not thinking of a use for it doesn't mean there isn't one. If you can share your use-case, I'd be happy to pass it along to the team and who knows? Might be you change our minds. Thanks for taking the time to share your feedback as well. 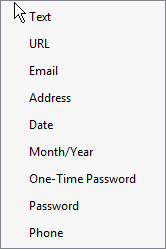 We all use 1Password differently, so knowing what is and isn't working for you is invaluable. We really appreciate it. having multiple text area boxes AND markdown would allow for easier navigation through very long notes. @4EverMaAT: Thanks for sharing! Any chance searchable notes would serve equally well? The content of Secure Notes isn't searchable yet, but it's another addition we're considering. Regardless, I'll be sure to pass your feedback along. maybe. But it is more for visual organization, especially when copying/pasting information in a mobile browser. You don't have to select everything or scroll through large amounts of text per text area. Like I said before, it is odd that with the newer 1p7 that there was no ability to add additional text area boxes. Seems intentional, because other [single line] fields don't have limitations on how many can be added. @4EverMaAT: Thank you for clarification! It is indeed something that we will need to consider in the future. The thing is that we are building 1Password 7 for Windows from scratch and we still have a lot of things to catch up with. Your feedback is much appreaciated, as it helps us get better. If there is anything else we can help you with, please let us know. Thanks again!